Please join us for our OPEN HOUSE! We will be holding three sessions: introduction of GSIS programs by professors, explanation of career development opportunities with the GSIS Career Development Center, and a meet-up with current students. We invite you to utilize our academic and professional platform to achieve your future success. – For International Students: In early June, only at the request of the admissions committee. 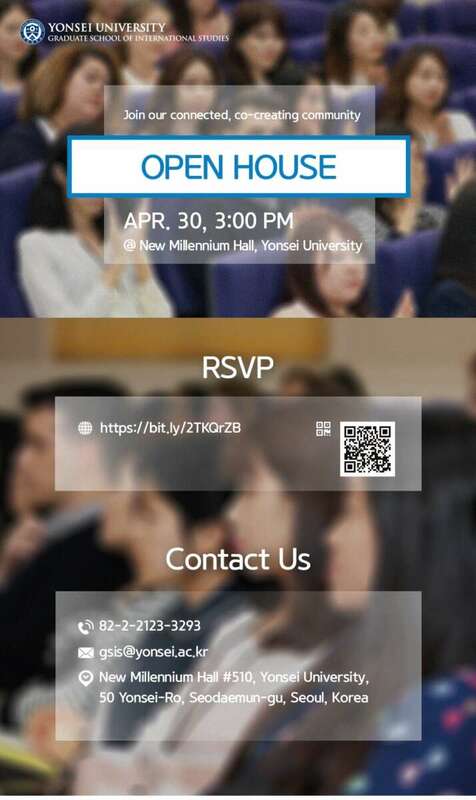 For more information, please email gsis@yonsei.ac.kr or call +82 2-2123-8484.